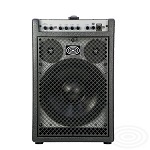 This top-of-the-range combo has a variety of uses for the bass guitarist, as well as delivering an amazing sound! Equipped with a 15” woofer, custom horn with 1” compression driver, transistor preamp and Class D amplifier, the B15 packs out a useful 500W RMS of bi-amplified power, making it ideal for larger venues and loud environments such as rock concerts. 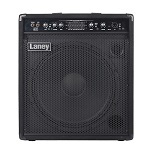 The amplifier has a wide frequency range, resulting in a great bottom end and excellent overall dynamics. It is suitable for use with a range of instruments including 5- and 6-string basses. SR TECHNOLOGY's series of BASS FIDELITY amplifiers have one specific aim: to enhance the sound of any electric bass by granting it power and clarity but without altering its tone or characteristics. A complete set of inputs and outputs means the amplifiers can be easily used in both home and studio environments as well as on stage, while the pre controls mean the sound can be shaped and styled according to a musician's individual tastes. A standout feature of the BASS FIDELITY series, is the BBSh control. This special filter, designed by SR TECHNOLOGY, modifies the low frequency response using a special mathematical function to give each bass the "presence" it needs. Model BF 10x2 SR, with 500W RMS bi-amp, 2 x 10" woofers, 1" compression driver and transistors preamp ensures the sound quality you expect from high performing combo amp. BF10x2 is provided with its own cover bag. Max Power Out:	500W RMS Bi-amp. 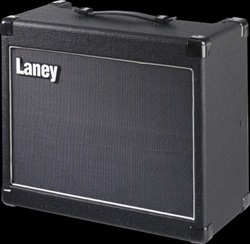 The LG range offers a stunning range of guitar tones in a very compact package. LG models are ideal for aspiring players taking their first steps towards stardom by rocking out in bedrooms all over the world. The LG12 produce 12 watts RMS of output, and features a pre amp with clean and crunch sounds, shared 3 band EQ and also a CD/MP3 input for jamming along with and learning your favourite songs or lessons and a headphone socket. 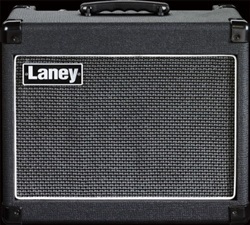 The LG12 is finished with a solidly constructed cabinet with a leather handle, rubber feet and black plastic corners, ideal for the bedroom, rehearsal, and they are also great for recording. 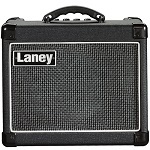 Your first choice when acquiring a practice amplifier or an amplifier on which to craft your art on is an important one, it shapes your development and enjoyment of the instrument as you progress on your journey. Make it an inspiring choice by choosing the LG Series. The LG20R takes its tonal cues from its bigger tube brothers. The clean channel chimes away nicely and takes on a pleasant bite at higher volumes. Switch to the drive channel, set the drive and the master controls as desired, and the LG range will yield a range of tones, from just breaking up to saturated sustain, with an increasing degree of crunch and raunch in between. On both channels the three band tone controls contribute a subtle degree of shaping rather than creating extreme sounds. The L20R's CD/MP3 socket makes jamming and learning new songs a blast and the on board reverb provides a nice natural splash of colour to your overall sound. 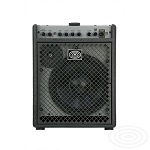 The LG20R is housed in a sturdy open back cabinet and finished in a black basket weave tolex with solid black plastic corners. 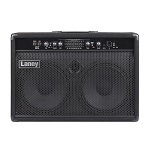 Great tone in a small but very usable convenient package. 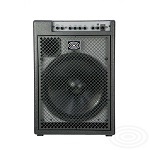 The LG35R features 35 watts RMS output and houses a 10” Custom designed driver. 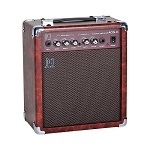 The LG35R consists of two channel pre-amp sporting a clean channel equipped with a single volume control, and a distortion channel equipped with Drive and master volume. The Clean and Drive channels both share the same 3 band EQ and the DRIVE channel also features a radical scoop switch for that classic British gain tone. The LG35R features onboard reverb plus a phono CD/Line input, which provides a convenient way to jam along with your favourite artist. Small it might be, but the LG35R can put out a useful bit of volume when cranked up, so should find their way into rehearsal rooms as well as domestic settings. 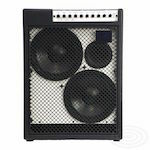 The LG35R is housed in a sturdy open back cabinet and finished in a black basket weave tolex with solid black plastic corners.